Ford's European operations were a bright spot for the troubled U.S. carmaker with the division reporting a 2008 pretax profit of $1.06 billion, up from $997 million in 2007. The profit was Ford of Europe's first annual profit of more than $1 billion since 1989. But the European unit saw a $1.37 billion profit in the first half turn to a $261 million loss in the second half. In the fourth quarter, the division lost $330 million. 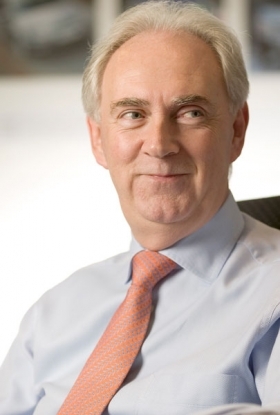 Ford of Europe Chairman John Fleming said: "2008 was a game of two halves. We had a positive business environment in the first half with a second half dramatically impacted by the widespread recession triggered by the credit crunch." Ford blamed the second-half loss on lower car sales and unfavorable exchange rates, particularly caused by the weakening of the British pound and the Russian ruble. Fleming said he did not expect a recovery until the end of this year at the earliest. He said the downturn was affecting all Ford's European markets. "2009 will be a very tough year," Fleming told an annual symposium organized by the Center for Automotive Research in Bochum, Germany, on Wednesday, the day before the results were announced. Ford of Europe's full-year revenue increased to $39 billion in 2008 from $36.5 billon the year before despite new-car sales falling by 98,000 units to 1.82 million. Ford said its European production was cut by 124,000 units to 365,000 in the fourth quarter of 2008. The carmaker forecasts first-quarter European production of 325,000, down 214,000 units from the same time last year. Fleming said Ford would continue to manage production in line with demand.